Located in the distinguished community of Forest Acres, 42 Magnolia offers a quiet home with gracious amenities ... a location just minutes from downtown Columbia and within walking distance of fine shopping and dining. Watch the seasons change with 42 Magnolia's landscape of professionally manicured trees and grounds. And if our plantings tempt the gardener in you, we've provided several garden beds for you to exercise your green thumb. Take time to relax and unwind, or to play hard. 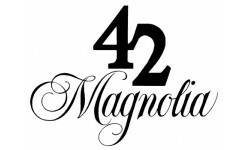 42 Magnolia's recreation facilities include a swimming pool, serene garden fountain area, tennis court, fitness center and even gas grills for casual outdoor enjoyment. Experience the quality standards of our professional on-site management and maintenance staff and the convenience of a two-bay car wash facility and centralized automatic trash compactors. All homes are equipped with SCE&G's Good Cents Premium Energy Package. Move into a home designed for your lifestyle. Many floor plans are available with amenities such as garden tubs, bay windows, balconies, gourmet kitchens, washer/dryer connections, spacious closets, 9-foot and vaulted ceilings, crown moldings and even private garages. Specially upgraded homes detailed with granite counter tops, wood vinyl flooring, slate back splash and new appliances are also available.